I have another great green giveaway for you. 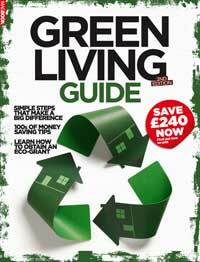 Dennis Publishing and Magbook are giving away 5 copies of their new Green Living Guide by Hugh Bowring to EcoStreet readers. Turning down the thermostat by 1C can save you around £40 a year on heating bills? Switching to energy efficient light bulbs can save the average UK household £128.42 per year? The average UK household throws away £424 of food a year? The average Briton throws away 7 times their body weight in rubbish each year? 194-pages of invaluable expert advice, tips and guidance. Inspirational case studies ranging across Low Carbon Building Programmes to Green travel schemes. Tips to battling against climate change at home and work through making small but significant changes. Clear sections dedicated to help you live a greener life – including work, travel and raising a family. 100s of money saving tips ideal for achieving sustainable living on a budget. Author Hugh Bowring is the director of Footprints Environmental Solutions Ltd, an independent company that provides ecological advice and Green products to companies and the general public. Prior to his current profession Hugh was a environmental journalist, and won the East of England’s Environmental Journalist of the Year Award for his contribution to generating awareness for Green issues across the British media. Please note that this giveaway is only open to readers with a UK postal address. The winner will be chosen at random on Mon. 19 July. And the winners are: Adrian Crook, Tracy, Thelma, Kim Holgate and Kulwinder Lombardelli. Looks like a good book that I need. I’ll be GREEN with envy if I’m not one of the lucky five !! Sounds interesting! Please enter me for this .. thanks! I need a book like this – I have good intentions but need guidance! I went to the Sunrise festival this summer and after listened to lots of different environmental talks there. As a result I now want to read more (and hopefully do more as well…). We’re always having competitions in our household as to who is the greenest! This would settle many an argument! I have been looking for some green and eco living tips and this looks like it could be the answer. I would love to win this book; since having my first child 6 months ago I’ve been trying to become more environmentally aware. I already use washable nappies and wipes, and I bet this book is full of loads of good ideas! …and tweeted a link to the competition too! Hope you get plenty of new readers as the site is great! A few days quite reading then months of nagging my family, oh what fun count me in. My best friend lives and breathes eco things and green living i would love to win this to prove to her i want to do my bit too even if i don’t make it on the marches! Sounds good, please count me in – thanks! Looks great – I could do would some more ideas for getting a bit greener. Smaller footprints will leave a lighter step on our planet. Yes please! i need all the tips i can get after playing my electric & gas bill! Need to seriously cut down! 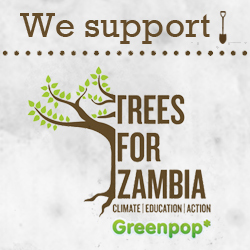 We are a large family and I often feel that we are not ‘green enough’! I would love to learn how to help the environment and also maybe learn to save money by using this fantastic book that will help me and my family! Would love to win this, interesting reading material. It’s great to see guides like this getting published! For those interested in “green tips”, this blog post: Eco worrier? How to make your home as green as possible and save money offers some great tips for quick home energy saving tips.